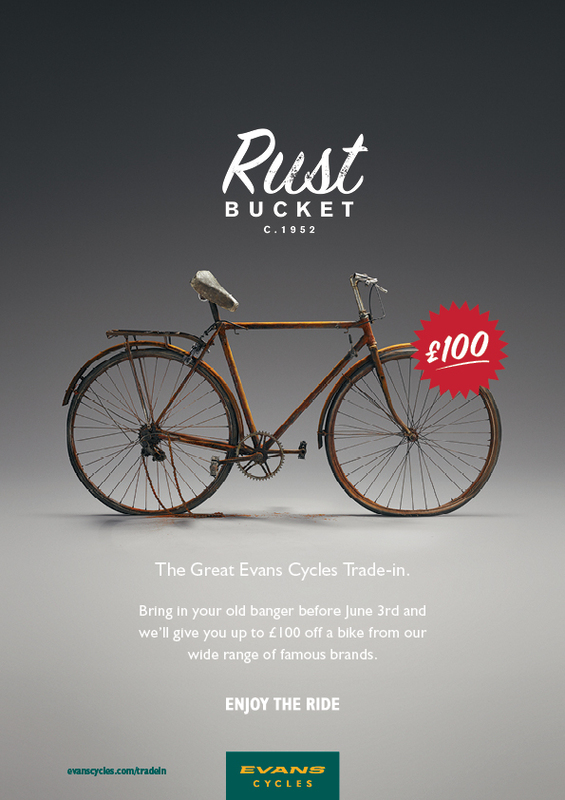 Evans Cycles has been a British institution since 1921, but its brand was in disarray. Its logo and colour palette (the only brand assets) were dated and low quality. All of its press and online communications were designed without brand guidelines and often erratic and unprofessional. With a new ambition to become the ‘John Lewis’ (or ‘The Bay’) of cycling, Evans Cycles needed a refresh that did not ignore its long history, but still appealed to the modern cyclist. Previous logo was dated but had a firm hold in the public consciousness. The rebrand would have to be delicate. The logo was redrawn and a whole new system of brand colours was adopted. As a brand trusted by families and cycling professionals, the visual identity must flex between high level brand messages and tactical promotions within their press ads, direct mail, emails and website.